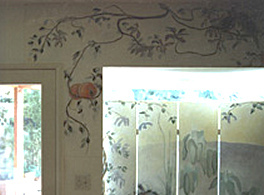 This mural and screen were executed for a private residence in La Crescenta. 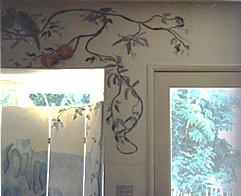 The screen was completed later, using a similar color scheme, as a block for the intense southern sun coming in from an exterior deck. fountain/waterfall, an enchanting garden, and the Verdugo Hills beyond.